To change the size of your font when reading email, use your browser's zoom function or use the Immersive Reader. You can also customize your email and change the size of your font when composing messages in Outlook.com. When reading email, you can use your browser's zoom function to make the text on your screen larger or smaller. Note: Some languages support an Immersive Reader to make it even easier to read email. Features include having the email read to you and improving text readability. Learn more about using the Immersive Reader. 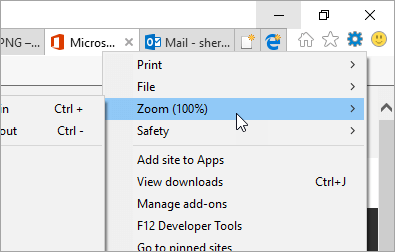 Select Settings and more > Zoom. When composing a message, you can change the font size and format. Create a new message, or reply to a message. At the bottom of the compose pane, select Font size . Select the font size you want to use. 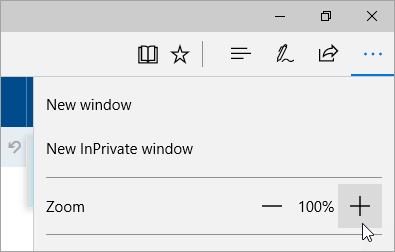 Note: If you don't see the formatting options menu at the bottom of the compose pane, select Show formatting options.